Our August issue celebrates family homes around the state, and we love hearing how you use ideas from our magazine in your own home. We chatted with reader Christen Byrd of Little Rock about the makeover she recently completed–and photographed–for her two young daughters’ shared bedroom. What was this space like before you started? I had actually started redesigning the space a couple of times before, but everything was too stock looking. It looked like I bought it at a store…and I realized that’s not what I wanted. Overall, it was just a mismatched mess of pink and green girly stuff. Well, it turned out to be very bright and happy–as well as personalized. Where did you find your inspiration? Ultimately, I wanted to steer clear of pink and girly girl. I love pink, don’t get me wrong. But I’m not a fan of a pink room just because that’s what girls should have. As a general rule, I don’t want what everybody else has. I want unique and personal. It’s no secret that I’m obsessed with aqua colored anything. That was my starting point. I wanted the room to be bright and it has beautiful natural light. Yellow really makes that “pop,” so I searched and found the perfect drapes to add to this. I also find inspiration in pieces. I may find a room in a magazine, Pinterest, etc. that I just like one tiny little piece of…a wall color, doll, blanket…and then I just build from there. All in my head. I know exactly what I want it to look like. Because I know how I want my girls to feel in this room. And I know what they will love. You also had a good deal of cost-saving ideas when it came to the decor. How did you go about your makeover while be conscious of the bottom line? I’m pretty sure that even if I had all the money in the world, I would still do things on a budget just because. I like the challenge of it. Most importantly, I had to be patient. It took me about 7 months to collect all the pieces for their space. The main pieces are the beds which I got at flea markets. I do have a new favorite place that I check into often. It’s the Hampton Expo Flea Market on Daisy Bates. As I recommend with all flea markets…you have to check often. You just never know when you’ll walk in and find the perfect piece of furniture for next to nothing. The beds were both around $40 each. Lucy’s bed had to be completely stripped down from a couple of horrible paint jobs. It was quite the undertaking, but it has such beautiful detailing, I could just see it through the horrible black paint job…and I had to have it. My girls are so very different and I wanted the room to coordinate, but still allow for their own space. Having different beds but painted the same color worked perfectly for this. The little bedside table was also from my favorite little flea market. I decided not to paint it at all because it just fit perfectly how it was. Their dresser actually belonged to my great aunt and has been stored away for years in a storage building. My dad spent months stripping the paint, fixing it up and repainting it for the girls. I wanted to keep it simple in color because it was an antique and the beds were already such a strong color piece in the room. I absolutely love finding old pieces and bringing them back to life. I also wanted to have a strong handmade feel to the room. I made the curtains and all the decorations from the bed buntings to the name prints. I wanted it to be very personal. It was so fun to make and the girls just love it! The biggest and brightest piece in the room is the pom cloud that hangs above their beds. Which consists of several packages of tissue paper and some wire…and hanging it just out of reach. It really adds so much to the room, especially since they have such a high ceiling. It kind of pulls everything together and allows for little splurges of different colors all over the room. Nothing in the room is matchy matchy, but it all coordinates. Did your girls help with the design? Yes, they did indeed help with the design. They actually picked the bed color which was a pretty big deal. I gave them a stack of paint choices and they picked this one and we went from there. Lucy actually picked out the bookshelf color and painted most of it herself. We just stapled on a vintage sheet to the old backing and nailed it back in place. She also helped sand down her own bed. Both girls helped design their own name prints. They picked out the colors and letter patterns. Lucy chose a vintage floral and Olive chose cherries. Their favorite part was setting the table and their dresser for the pictures and making sure to add their own personal touch. Are there pieces that will “grow” with them as they get older? Definitely the beds and dresser. The beds are purposely very low to the ground for now, but we’ll eventually add box springs as they get older and bigger. And the dresser will obviously be around for years to come. What’s your favorite thing about the result? My favorite thing about the room is that it doesn’t look like anyone else’s room. And they love it so much. Even when it’s messy (which is often), at least it’s a relatively pretty mess. It’s bright and lovely and so inviting. Thanks to Christen for sharing her renovation with us! 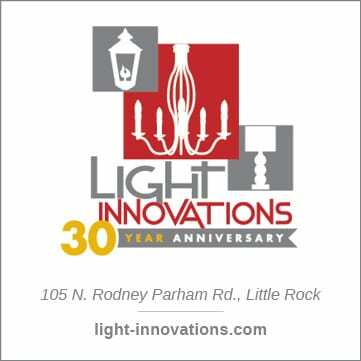 If you have a Reader Renovation to share, send your submission to us via email at tburgess@athomearkansas.com. At home in Arkansas, in August. Survival Tips. We celebrate family life in the August issue of At Home, so we’ve asked a group of Arkansas moms to contribute a bit of what they do best on the blog this month. Kicking off our Family Style series is writer and blogger, Kyran Pittman. Learn more about Kyran at her blog, PlantingDandelions.com, and in the August issue’s At Home With feature. The late, great humorist Nora Ephron wrote that “if pregnancy were a book, they would cut the last two chapters.” The same could be said of Arkansas summer. July and August are superfluous and overwrought. Cut them, or give us the Reader’s Digest version: a week just sultry enough to call for a hand fan and a mint julep. Those forced to endure late pregnancy and late Arkansas summer simultaneously should be evacuated to Canada on humanitarian grounds. As for the rest of us sweltering wretches trapped at home, here are my strategies for surviving Southern summer after it’s jumped the shark. Sweat it out. “Stir crazy” may not have an entry in the Diagnostic and Statistical Manual of Mental Disorders, but that doesn’t make me feel any less insane, after a few days of confinement and inertia. The best prescription I know is physical activity. August in Arkansas may not seem like the time to start a Couch to 5K running program, but it was that, or start hitting the bottle before noon. To call it “running” is a ludicrous stretch, but I make myself walk, jog and hobble for 45 minutes most mornings before the temperatures hit the triple digits. Even so, it’s hot. I’m drenched with sweat by the end. And I feel much better all day. Let it go. Ecologically-minded garden experts recommend letting lawns go dormant in extreme temperatures, to avoid squandering resources (at least, that’s what I’m telling my neighbors). It’s not reasonable to expect plants to keep up their usual routine when it’s a thousand and hell degrees outside. Why should it be any different for us? I try to let go of the guilt triggered by how much time the kids have spent in front of a video screen, or how long it’s been since anyone’s had a bath (the pool counts, right? ), or how many calories are in a venti frozen mochacinno. Those rules are for ordinary times. These are not ordinary times. Adjust your mental clock. We’re used to thinking of daytime as the active portion of our day, but Southern summers require a different mindset. We spent a few months living in Mexico, where the hours between lunch and dinner were as quiet and still as the dead of a suburban Little Rock night. Take a note from the people who live in this kind of heat year-round, and plan activities for early morning and evening. The only time we swim in August is at night, when the pool is quiet, the water feels somewhat less septic, and sunscreen isn’t required. Surrender. Crank ice cream. Eat peaches and watermelons as messily as you can. Drink sweet tea by the gallon. Retire, sighing, to the couch in late afternoon with a frivolous book and a chilled cocktail. Let every conversation revolve around weather (like, how can it be so dry and so humid–what’s that about?) Fry an egg on the sidewalk. Marvel at the cacophony of the cicadas. Endure it. Suffer it. Lean into it. Summer is the kiln in which a Southern soul is fired. That which does not kill us, only makes us more appreciative of the other three seasons. We celebrate family life in the August issue ofÂ At Home, so weâve asked a group of Arkansas moms to contribute a bit of what they do best on theÂ blog this month. Next up in ourÂ Family StyleÂ series is bloggerÂ Katie Henry, whose family-friendly, DIY-filled home is featured the August issue. Learn more about Katie at her blog,Â PassystoParties.com. In the process of designing a space I always try to think outside the box to achieve a unique look. I love searching garage sales and flea markets to find the perfect statement piece for a room. If you keep your eyes open, you may stumbleÂ upon the perfect piece of furniture thatÂ could single handedlyÂ makeover a room.Â The trick is… you have to picture it updated and painted; you have to look past theÂ dust andÂ junk piled on top of the furniture to notice the shape and bones of the piece. For example, this is the shelf that I found at Cassy’s flea market in Southwest Little Rock. Our playroom was in process and needed a toy shelf and when we passed by thisÂ apparent “piece of junk” I took a second look to imagineÂ its possibilities. I am not exaggerating whenÂ I say that there was a sticky note on this shelf thatÂ read, “Price firm, $20!” I got a kick out of that because I saw past the junk and the dust and knew this would soon be worth much more than $20. This was going to makeover my entire room. So with a littleÂ paint andÂ some effort on my partÂ thisÂ pitiful, but sturdy,Â $20 shelf soon turned into this statement piece in our playroom. So after you find your junky treasure at your local flea market the next step…. MAKEOVER TIME! One of my best friends needed a changing table and this lovely piece of furniture was found for a super reasonable price at a garage sale in Northwest Arkansas. 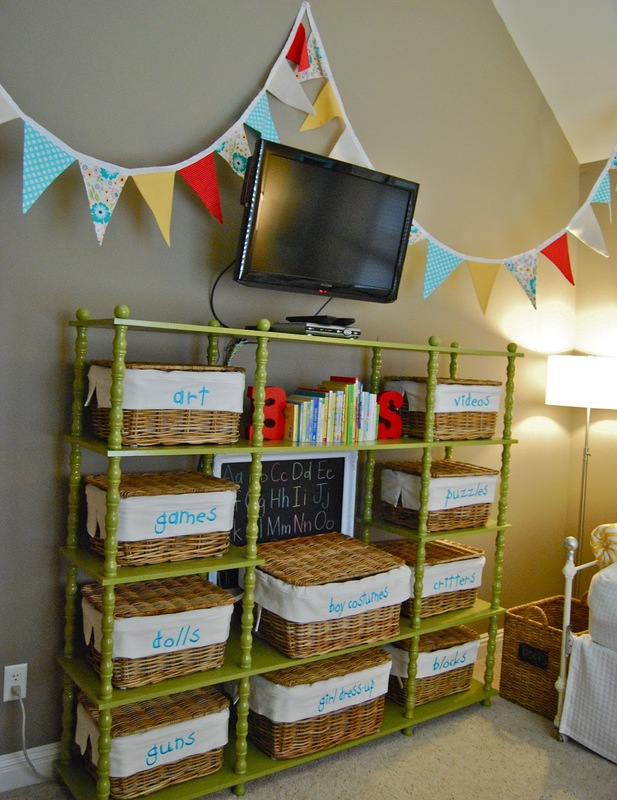 I am going to make it over forÂ theÂ nursery that we are working on in preparation for the arrival of their daughter. 3. 6 inch smooth surface sponge roller. First step: Remove all hardware and drawers from furniture and spread out on a drop cloth. Second Step: Sand uneven surfaces on drawers and dresser. This piece was definitely not made of solid wood, so itÂ was important to sandÂ over the “blemishes” on the surface to try and smooth them out. Third Step: Wipe dust off with a soft towel(use a towel that won’t leave any fuzzy residue). First, apply the Primer.Â For this dresser I used a sponge roller on the larger surfaces to apply the paint and primer and then would go back over with my normal 3 inch paint brush to make sure it was completely smooth. Fifth Step: After the primer is painted on, let it sit and dry for at least 3 hours. After it is dry you start painting with the real paint. Use the same technique for the paint as you did the primer but this time just pay more attention to the detail of the strokes. I try to get the paint to look as smooth as possible. After first coat is dry which takes 2-3 hours apply one more coat doing the exact same thing.Â Let it dry overnight. Sixth Step: Apply the protective finish. 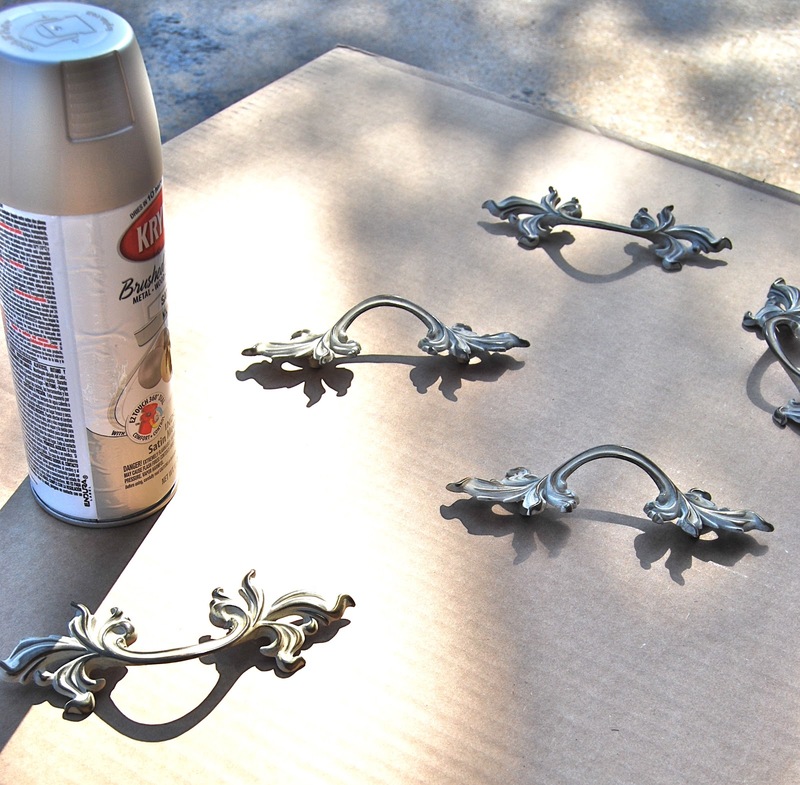 Use a paint brush to apply the protective finish as evenly and as smoothly as possible.Â Let it dry overnight. Last Step: Update or add new hardware! 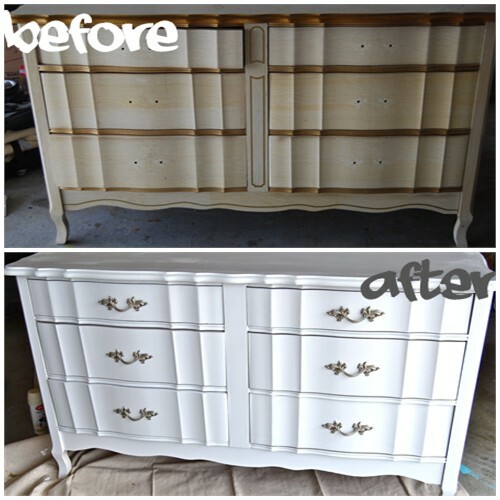 I used the original hardware for this dresser and painted it with satin nickel spray paint.Â This helpedÂ update the piece tremendously.Â When the dresser is completely dry put it back togetherÂ and you have a new beautiful piece of furniture for your space! Take it from me…you do not have to spend a small fortune on furniture. Keep your eyes open, use your creativity and imagination, learn to paint and you can update any room with a small budget! We celebrate family life in the August issue ofÂ At Home, so weâve asked a group of Arkansas moms to contribute a bit of what they do best on theÂ blog this month. 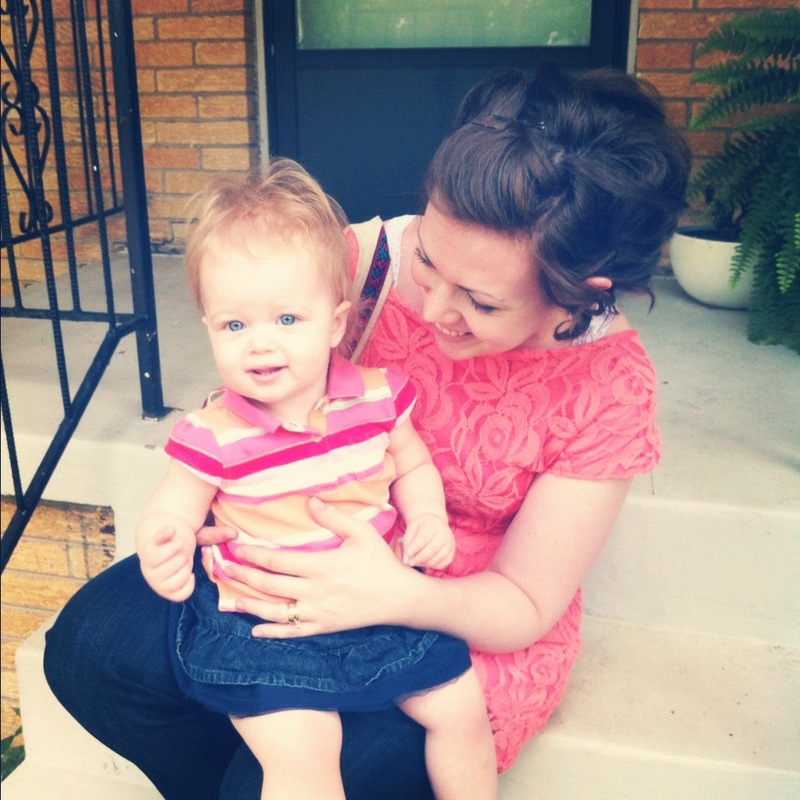 Next up in ourÂ Family StyleÂ series is North Little Rock writer and blogger,Â Elizabeth Owen. Elizabeth is the author of My (not so) Storybook Life and her blog, Mabel’s House, in which she regales readers with the ups and downs (and sometimes hilarious adventures) of being a new mother. I’ve always loved houses. When I was five my parents took me on a trolley ride through Eureka Springs, and I spent the duration standing, pressing my nose to the window yelling at the gingerbread houses, “Oooh! I like that one! It’s mine! No wait that one! Oooh!” I imagined the perfect rooms inside, with window sheers blowing in the breeze, shiny hardwood floors and sparkling chandeliers in the dining rooms. I fancied that I would one day live in a gingerbread house. Today I live in a 1950’s ranch, but it’s every bit as precious to me as the gingerbread houses of my childhood vacations. 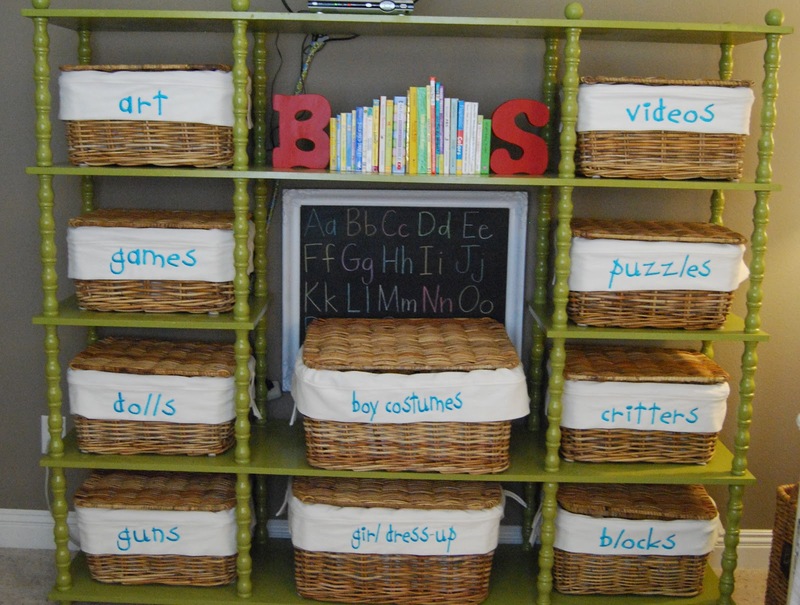 I love to decorate it, change things around, organize bookshelves and paint. I’m no professional, but I work at it. But after having my daughter, Jane, I quickly realized that my house-loving life could easily be divided into two halves. BJD: Before Jane I made sure to clean the dining table each morning, because it’s black and seems to attract a layer of dust every day. AJD: I can’t even see the dining table anymore, mostly because each morning I’m too busy crouching on all fours, my nostrils sniffing our carpet like a bloodhound to find the source of spoiled milk smell that’s permeated the house. Why, you ask? Because Jane likes to press her sippy cups into the floor and watch the contents spurt out. BJD: Before Jane I bought fresh flowers almost weekly to put in the kitchen. AJD: There’s no more room for fresh flowers in the kitchen because the counter-tops are full of those fake plastic grass bottle drying racks. Normal people have one. We have four. The list could go on, from the design-deterrent plastic covered highchair on rollers that dominates dinner parties, or the brown and pink pack-n-play with vanilla wafers ground into its cushion. The ground is littered with pacifiers, there are countless bath toys in our only bathtub, and, of course, there’s the diaper genie. Last time I checked, none of these items graced the pages of my favorite decorating magazines. But at night, after Jane goes to bed, I sit on the couch and survey the damage. There’s a brown piece of banana inexplicably stuck to the side of the china cabinet. Jane’s stack of books by the reading chair wobble precariously. 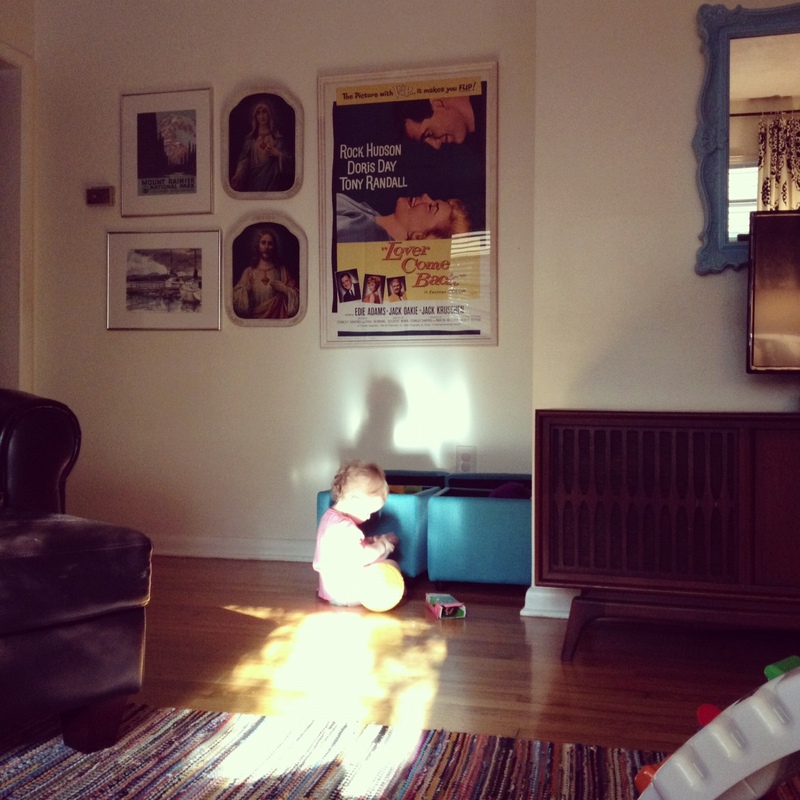 Her toy chest is in the corner by the mid century console I found in an antique mall, and on top of said console are carefully arranged batman toys (my husband is afraid his world will become all-pink and he’s trying to imprint a love of superheros on her early). It makes me smile, because these little messes, these little “blemishes” to what was once a carefully arranged house are a good thing. They’re signs that she was there, signs that Jane came and turned our lives upside down in the best of ways. Do I wish they made more stylish highchairs that middle class folks could actually afford? Yes. But I wouldn’t change a thing. There’s plenty of time in life for decorating and non-child-proof accessories. This “After Jane Decorating” phase of my life makes all those imagined gingerbread dream houses pale in comparison.